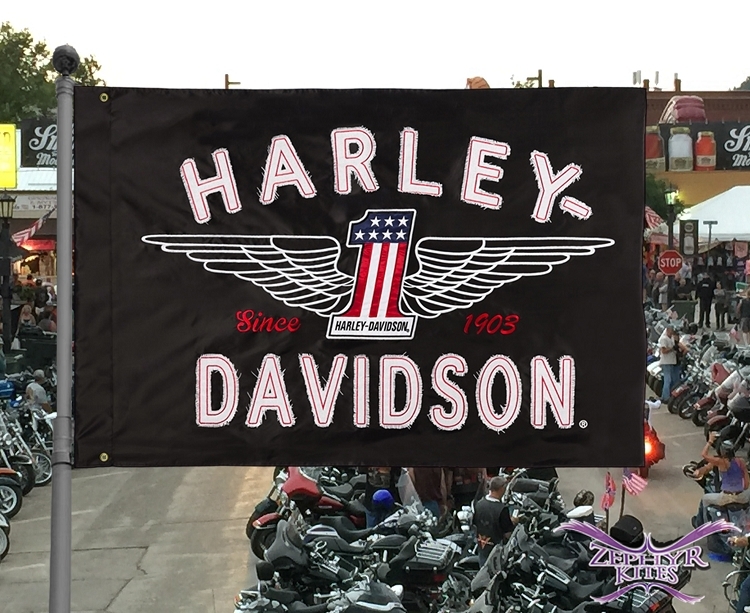 Show everybody how you roll with this big, double-sided, applique Harley Davidson #1 Logo estate flag from ZephyrKites.com. 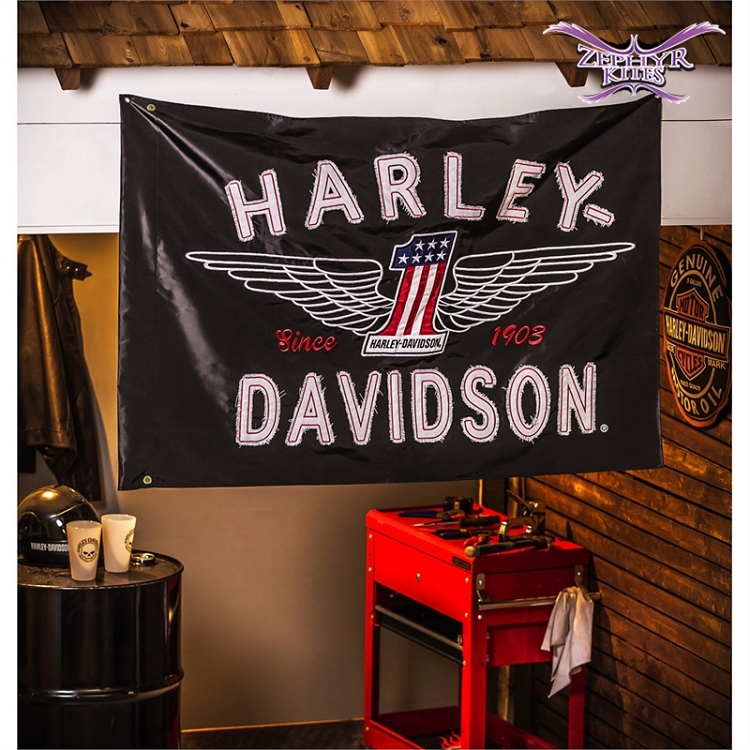 Showcasing beautiful detail and unmatched craftsmanship, this fade-resistant flag will be the perfect way to get your motor running. 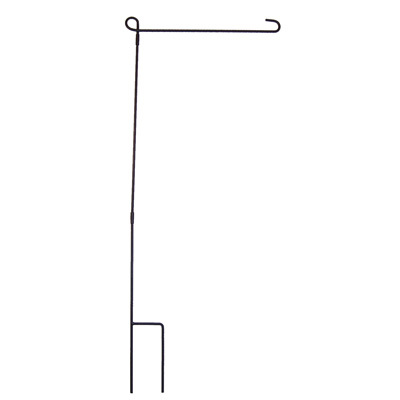 Comes with grommets as well as a tube sleeve for standard house banner poles. 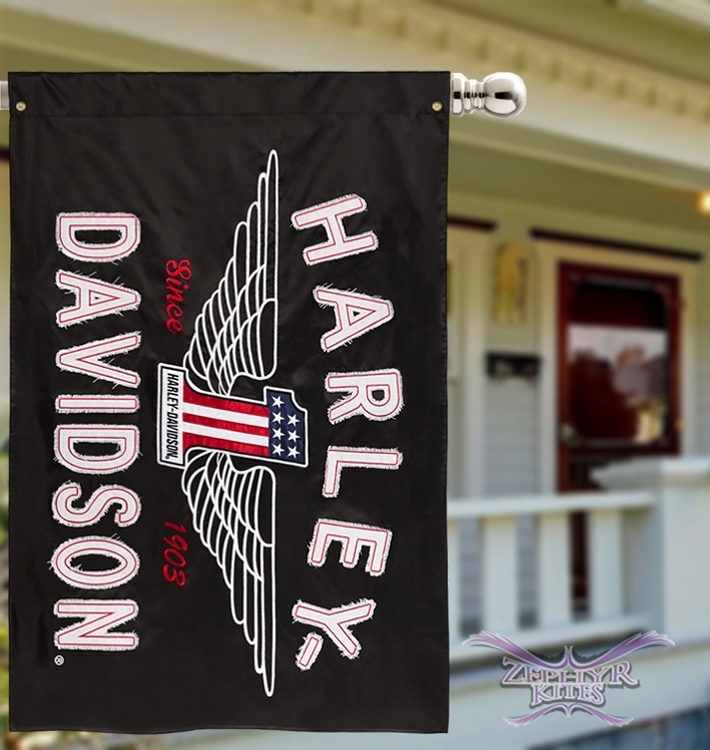 Flag pole sold separately. 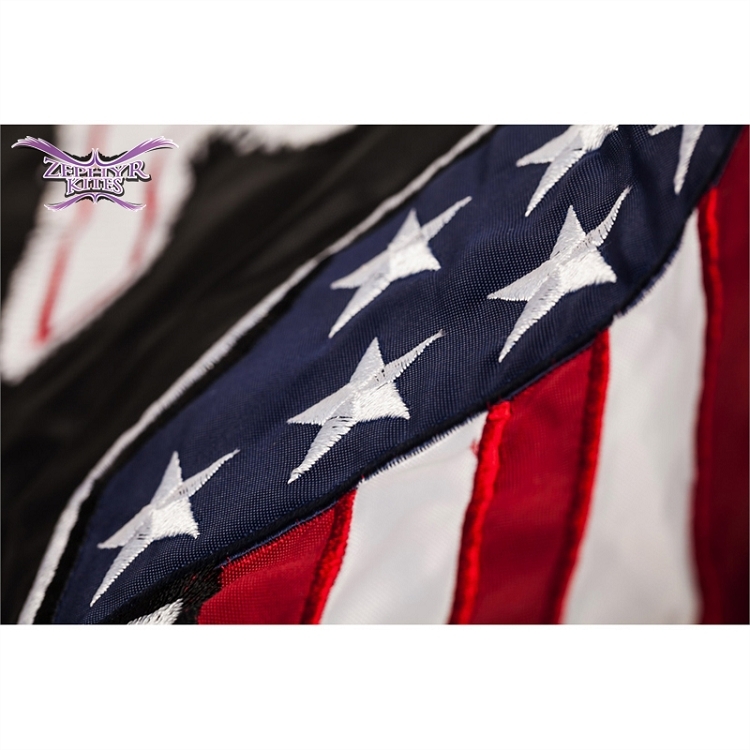 Copyright Zephyr Kites. All Rights Reserved.